Reunion – "And another thing…"
Read my thoughts on Reunion 2014 here. 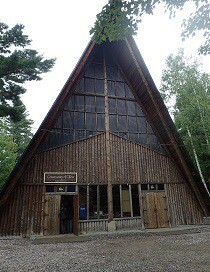 Last year I attended Northern Ontario Reunion for the first time in 12 years. When I left, I was already committed to attending this year’s reunion. And I remember thinking “I hope I’m not one of those people who goes back once, and then does not come back again”. Well, I went back, and once again, I found myself immersed in a community reflective of Zion. And we continued, just as we did last year, to love each other. And to laugh. All the time. And sometimes to express frustrations, support each other, and even cry. We were there for each other. 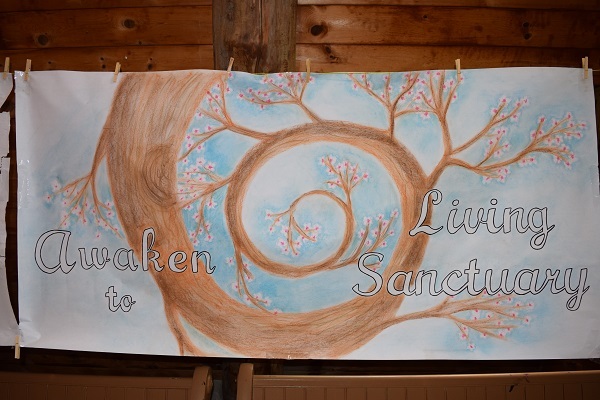 We came from near and far (Ontario, Canada West, Australia, mainland USA, and Hawaii), and we formed a sacred community, a Zionic community, during which time, for one short week, we focused on God, and one another. We were in the world, but not of the world. 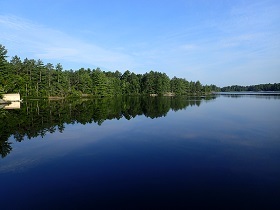 Last year, one of my friends at reunion described being at Camp Noronto like being in a bubble. It is like that. In fact, as I think about it, I feel like after we arrive, we are temporarily taken away from the world, like the city of Enoch, and empowered to rejuvenate. 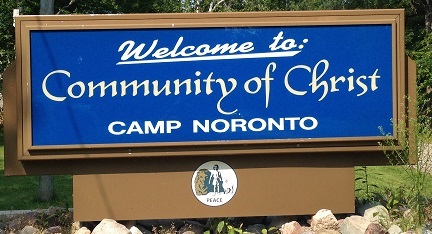 This year I said to someone that Camp Noronto is a healing place. And later on in the week, I heard someone else say the same thing. And it is. It is a place of spiritual renewal. It is a sacred place, and when you walk there, you walk on holy ground. I missed the people that were there last year but were not able to be there this year. And I missed the people who were there prior to my own long absence, and who have yet to come back. I regret very much all the years I was away, and I hope other people won’t make that same mistake. If you have not been to Reunion for a long time, its time to come back. And while its great to have people drop in for a day, you’ll get far more out of it if you come for the whole week. Don’t keep putting it off. Reunion 2015 just ended, but its not too early to plan to attend Reunion 2016. Make that a commitment to yourself, because if you don’t, by the time May rolls around, you may not be able to swing it. Book that week off work before someone else beats you to it! One of the highlights for me was seeing the tremendous leadership provided by young adults. We were very fortunate to have three guest ministers from Community Plus (the Australian offshoot of Community Place) join us, and they were very busy providing ministry to young adults and senior highs, through classes and evening activities, as well as providing ministry to everyone through preaching and the never-to-be underestimated ministry of presence. We were blessed to have them share with us throughout the week. And they challenged us. They pushed us. And it was refreshing to experience that, especially from the young adults. 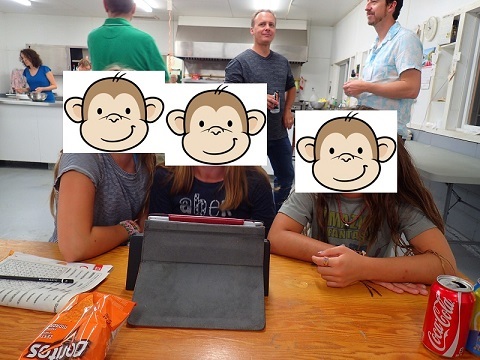 Our Australian friends were not the only young adults who greatly impressed me. We are so incredibly fortunate to have so many active young adults willing to give up a week (or, in many cases, two weeks, as most stayed on for senior high camp) to attend a church camp. And their energy and enthusiasm and fresh ideas are so vital to sustaining our church now and for years to come. They are a resource that we simply cannot squander. As always we had our classes and worship services. I was privileged to do two “Under the Pine Tree” sessions (this is a 3pm gathering for anyone who wants to, to talk about a particular topic, different each day, in a group sitting outside – though both of mine were indoors, as I forgot to print my notes and had to use my iPad which does not display very well outside. Sorry). My first session was called “Divine Changes” and outlined various changes that God has made to His church or the priesthood, as noted in the Book of Mormon, Doctrine & Covenants, and Inspired Version, the existence of which is something most people are not aware of (the changes, not the books). The second session was an overview on our Latter Day Seekers ministry. We also had a session on MEADS, and a great overview on the incredible work being done by World Accord. Our week included lots of fun activities such as our annual Family Day (complete with lots of field games, team room, face painting, toonie table and the option to sample some delicious and, er, dubious Australian treats), sports, swimming, fishing, campfires, a talent show, movies-that-matter (Jesus Christ Super Star, Angels in the Outfield and The Game Stands Tall). We were also given the opportunity to give deliberate consideration to future reunions, focusing on what we would like to see, how to get more people to attend, and what we can do to ensure that maintenance is taken care of. This resulted in a tremendous amount of ides being shared, and the creation of a Noronto Reunion Facebook group that we can use to keep this critical dialogue going all year long. I tried to spend my week interacting with all ages. I was very interested in observing and listening to young adults and seniors; and noting the contrasting different views that each has on various topics. I also tried to spend my time sharing and talking with people with diverse and often oppositional stances on our theological matrix. All of this really helped me see the reunion experience through the filter of our many different demographics, and I’m still pondering some of the insights that I think I gained from my conversations with them. It is often during these spontaneous encounters, in just a small group of people sitting around campfire, or a one-on-one conversation in the gazebo, that Reunion really comes alive for me, as you really get to know different people and where they are coming from, what has shaped them, and, if possible, how you can support them, and in turn, be supported by them. Those late night walks with a close friend can often result in redemption. And that word, redemption, followed me around all week at Reunion. We love each other, we support each other, we glimpse, with each other, the Kingdom of Zion. And through these experiences, we are rejuvenated, we are healed, and we experience a measure of personal redemption. Not redemption in the sense of salvation, but a kind of redemption from our own burdens, from the things that often threaten to overwhelm us, or even drown us. And we experience this personal redemption as we let go of our own guilt, and learn to not only forgive each other, but to make progress with self-forgiveness. Will you be there in 2016? Who has ministered to you over the years? Will you be that person to someone else? 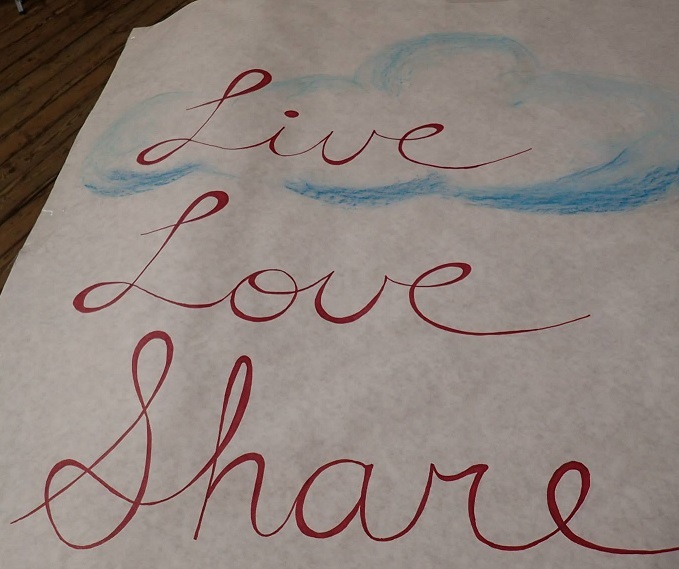 Will you help foster personal redemption in the lives of other people? What does reunion mean to you? Leave me a comment here or on Facebook to share what your week meant to you. And commit to being there in 2016. Read my thoughts on Reunion 2015 here. 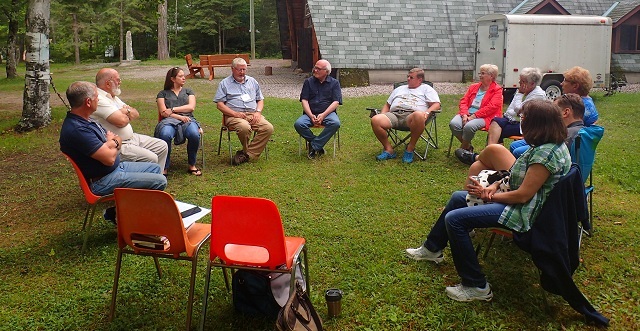 On Saturday August 9th, 2014, I set foot on the grounds of Camp Noronto, North Monetville, for the first time in nine years, to attend my church’s Northern Ontario Reunion, which I last attended twelve years ago. 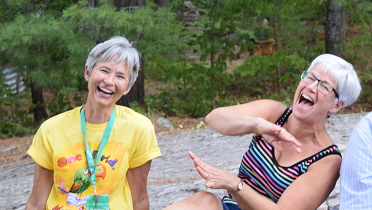 Many years ago, I would attend usually two, sometimes three camps each summer on these sacred grounds: Junior High Camp in mid July, and Northern Ontario Reunion followed immediately by Senior High Camp in August. 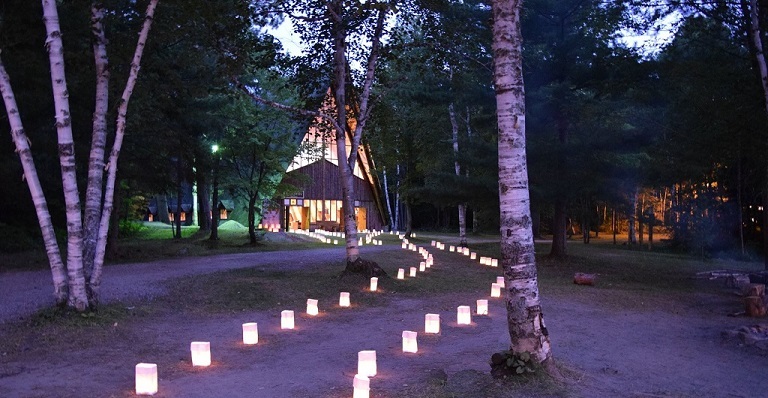 I attended Senior High Camp from 1984 to 2002, and in that time, I went to several of the other two camps, the last time for each also being in 2002. In 2005 I went back to Senior High camp, and that has been it until now. The church camps, and the people, and the camp itself are part of my life, and my very identity. I can’t really express what it was like to be back, but I do want to share some of my reflections on Reunion. Let me begin by saying that I always find it difficult to explain our church camps to someone who has never been, especially non-members. I think there is a common misconception that all we do is sit around in a circle all day long praying and singing Kumbaya (which we do like to sing, but maybe only once per year). Our camps are far more dynamic and relevant than that. 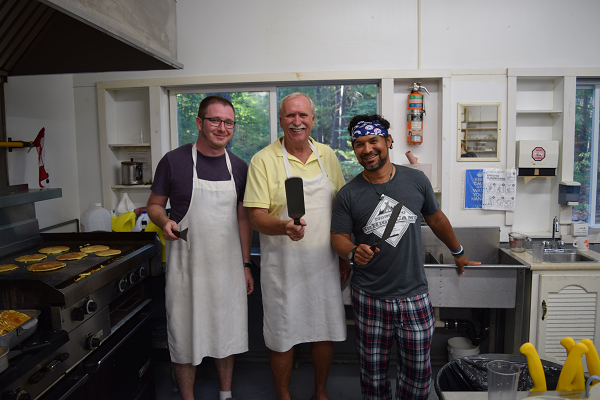 A typical day at the 2014 Reunion consisted of do-it-yourself breakfast, followed by a morning worship gathering, than a preaching service, followed by lunch, which is generally followed by quiet time, classes, various electives/swim time, “Under the Pine Tree” (an informational session on some particular topic, different each day), and dinner. 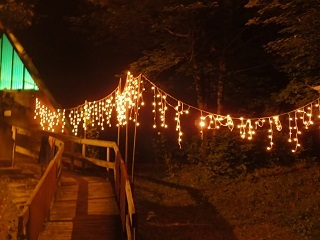 Following dinner were various evening activities such as coffee house, campfires, movie night, trivia challenge, the talent show, etc. There are different classes and nightly activities for different age groups. Sunday included a communion service, and was also Community Day which had all kinds of activities, a “toonie table”, pop corn, snow cones, field games, etc. The week also included a BBQ and corn roast. Everything is of course optional, and while the above activities are often truly inspirational, what often makes Reunion so enjoyable is all the stuff that happens spontaneously, such as going for a walk with an old friend, visiting with people at the picnic tables around the campfire pit, hanging out with people in the gazebos, playing late night games or having late night chats in the dining hall. 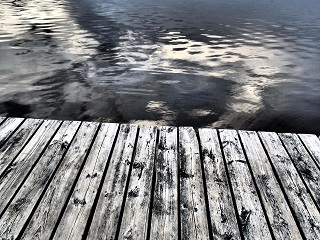 What I often find so enjoyable are the conversations with incredible friends reminiscing about prior mischief (“Remember the time we put Pat’s bedroom on top of the lower washroom’s roof”; “Remember the time we put Pat’s bedroom on the raft”; “Remember the time we hung Pat’s bedroom in the trees”). And who can forget the many times in the middle of the night that some of us stole the camp bell, and buried it in the sand at the beach, put it on the raft, sank it in the lake, buried it in the sand in the chapel (pre wooden floors), hid it in the water tower, etc. Of course, a lot of these pranks occurred at Senior High camp, but the memories are always so fun to revisit when you spend time on the camp grounds. All of the above is still, in my opinion, inadequate to truly explain to people just what we do at Reunion, or why it is such an amazing experience, because somehow what makes Reunion so awesome is intangible. It is so hard to relate what really goes on, and why it is such an amazing experience. However, (and this is true for the other camps), the best way I know how to explain it is simply this: We just love each other. That is what Reunion is really all about. 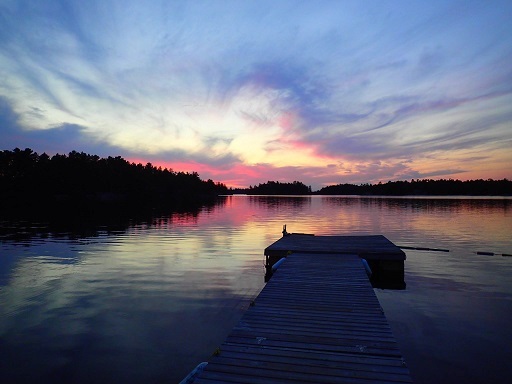 You find yourself (literally in our case), on an island, in Northern Ontario, very rural, very scenic, completely cut off from the outside world (if you switch off your smart phone), immersed in what is truly a sacred community, a church fellowship that is the most loving, accepting, compassionate, genuine, sincere, and happy community that I have ever experienced. I feel closest to God at camp. Through the people there, I feel God’s love more strongly than anywhere else. We just love each other. Reunion is also about rejuvenation. It’s a recharge. Its an opportunity for spiritual growth/development, and spiritual healing. For some people, it is a means for emotional healing. Reunion included a few surprises for me this year. One began by me emailing a friend of mine, who I had for some reason presumed no longer attended, saying “I’m going this year, try to drop by”. She thought that was cute, given that she has in fact attended every year, and I have not been in twelve. I was the super active church member, and she was the non-member that I thought only came in from time to time, and probably not for several years. Then I said to her “so when are you going to get baptized” and she then told me that she already was, a few years ago. Ahem. That was all a little embarrassing. I guess I need to accept that I’ve really been gone for a very long time and that camp life has continued just fine without me. Another friend was so surprised to see me that she did a double-take and said to me “I never thought you were ever coming back”. And again, I had no idea she was still involved in any way. I guess that is one message I want to drive home for all the people who are reading this, and who do have a history at Camp Noronto, but have not been for a long time. Its time to come home. Don’t just reminisce about all the fond memories. Come back to reunion. Come back to camp. Come back to Noronto, and be rejuvenated. Make plans for it now. Don’t keep making the mistake that I did. And for those of you who have never been, but want to be rejuvenated, or feel the love of God as you never have before, make plans now to join us at the next Reunion. I also feel a little guilty. Those words “I thought you were never coming back” were not said accusingly, but with joy, as in “but I’m so glad you did”. Yet, those words have been echoing in my mind ever since, and I can’t help feel that I’ve let some people down over the years by being away (but I’ve had many other wonderful experiences with my wife that I cherish greatly and have no regrets about). And of course, now I have come back. And I hope to keep coming back. Another surprise was how appreciative people seemed to be that I had returned. All week long I had people telling me how glad they were that I had come back. Two people said to me one day as I was walking to my dorm “We were just talking about you, and saying not only is it good for you to be back, but its good for all us to have you back”. Wow. I can’t help feel moved when I think of stuff like that. I also had various people tell me that they read and enjoy my blogs, which is always greatly appreciated. I had others tell me how much they appreciated my help and ministry with various issues that some people are working through. I also kept being reminded how much I am missed at senior high camp, and was given something that I will always cherish, to encourage me to return (it worked). It was all very heart warming, and there were many times that I was moved to tears. Reunion is a busy week with lots going on and often people coming and going. Several people dropped in for just a day or so, but it was still awesome to see them. I hope in future years they can spend more time on the grounds. However, each visit, no matter how brief, was greatly enjoyed. Reunion is also a week for personal reflection and opportunities. There were two people that, when I was in my twenties, I tended to be somewhat judgmental of. I made sure that I took the time to apologize to each of them. The week was also full of some truly awesome experiences. One was nothing more grandiose than having a grilled cheese & onion sandwich, something I had been waiting for, quite literally, for twelve years. Another involved a late night chat with someone who is thinking about being baptized. She seemed to appreciate my perspectives, but her approach and concerns were so spiritually grounded that I felt ministered to by her, simply by listening to how wise she was in her consideration of whether or not to move forward with baptism. Then there was the “return to Senior High Camp” incentive that I mentioned above. That almost broke me. I think the only reason why I didn’t just crack on the spot is because I was in shock. But I’ve been choked up many time since just thinking about it. Another occasion directly pertained to one of the reasons I returned to reunion this year. I’ve had a lot on my mind of late, and have been very preoccupied with many concerns and issues, to the extent that I I felt spiritually lost, even wounded, and unsure of how to move forward. I wanted to be healed, to feel cleansed, forgiven, and more assured of God’s love and abiding call. A tall order for a mere camp to take care of, or resolve. But I had truly hoped that I would be able to find what I was seeking, and I feel so very blessed, because God steered me on the right course to help me take certain steps that brought about exactly what I was hoping for and I will deeply appreciate forever the support that I received. And of course, the acceptance, welcome, teasing, scenery, and so much more were all part of what made my week so meaningful, and what made me feel, so clearly, how valued and loved I am. And again, that is what we do at Reunion. We love one another. And if Reunion is about love, that love is often expressed through laughter. It is grounded in friendships, true, honest, friendships. It is a love that at times can almost overpower you, and leaves you dreading the final day and the journey home, but it does rejuvenate you, and it does bolster you and, if you are careful, you can keep everything great about Reunion, including what it does for you, burning within your heart, insulating you to some degree, for quite some time afterwards. He nailed it. That is what Zion would be like, and Noronto Reunion is indeed a glimmer of Zion. I hope this blog helps, at least to some degree, explain what Reunion is all about, and what it means for me, and for so many other people. I am so grateful for this expression of Zion, and hope that others will experience what I have in future years.